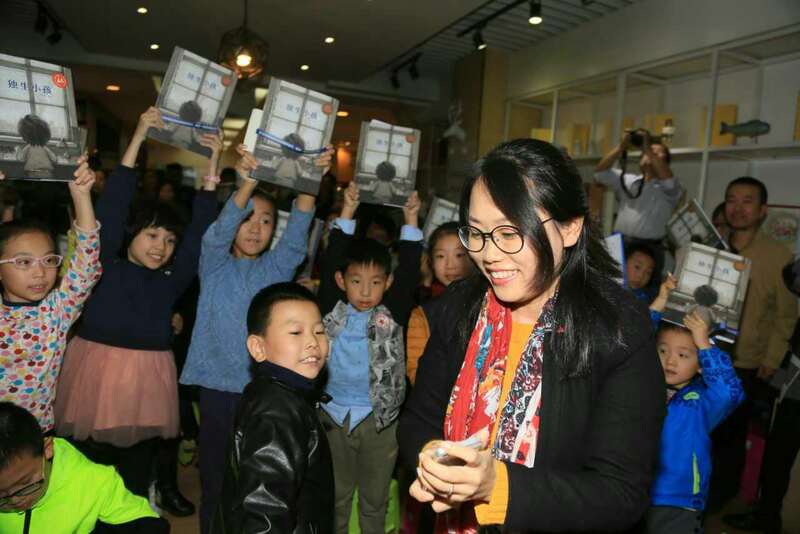 Book sharing event in Qingdao. It was really exciting for me to get feedback from the audience and to hear their feelings about my book. When I was talking to my readers, I realized that almost every adult in the audience who had been born in 1980’s would see themselves in my story, as we are all from the only child generation. They told me they were touched deeply by my book and that it brought back their childhood memories. Adults told me that my book made them think about how to care and raise their own children. For the kids in the audience, they told me they loved the fantasty part of the book. 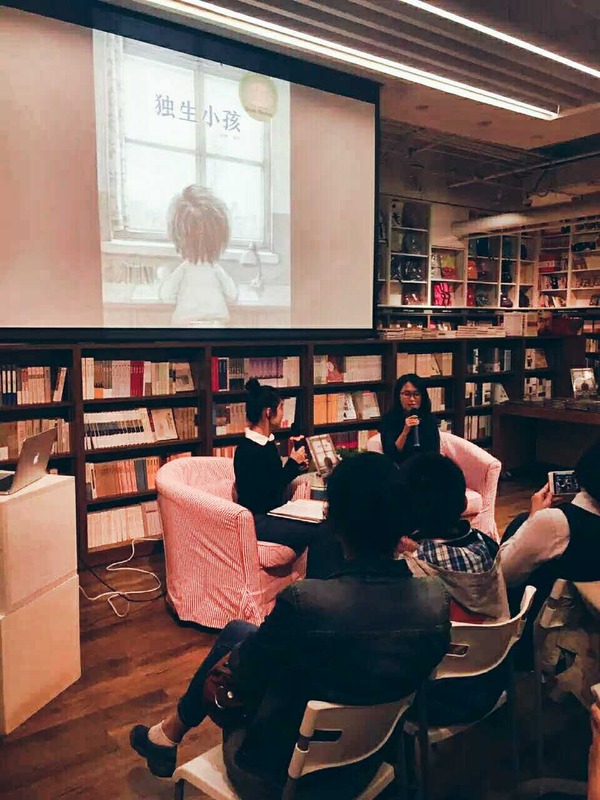 At a book sharing event in Nanjing Phoenix books store. 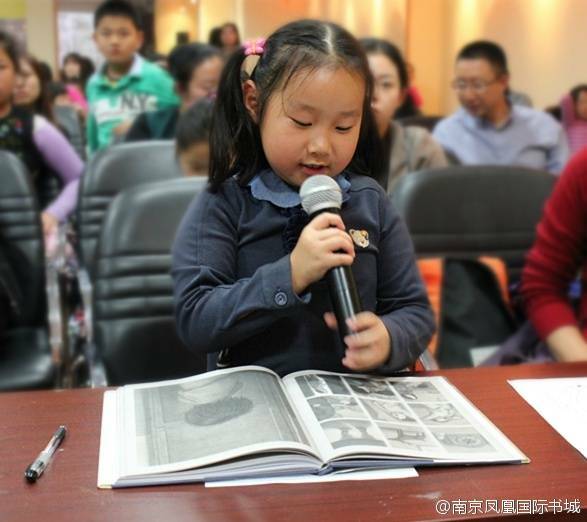 One little girl read my wordless book to everyone. She had a great imagination. One cute baby girl, who is a fan of my book made this special picture for me. 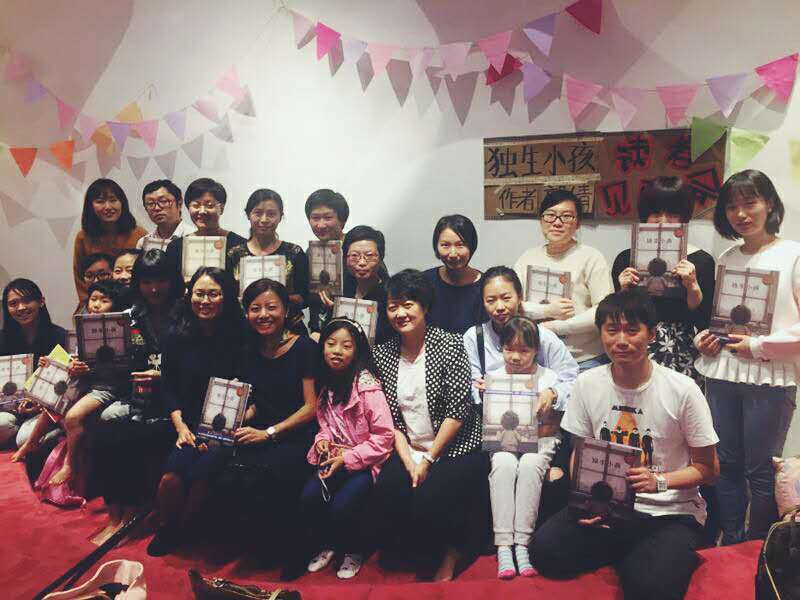 Book sharing event in Shanghai. 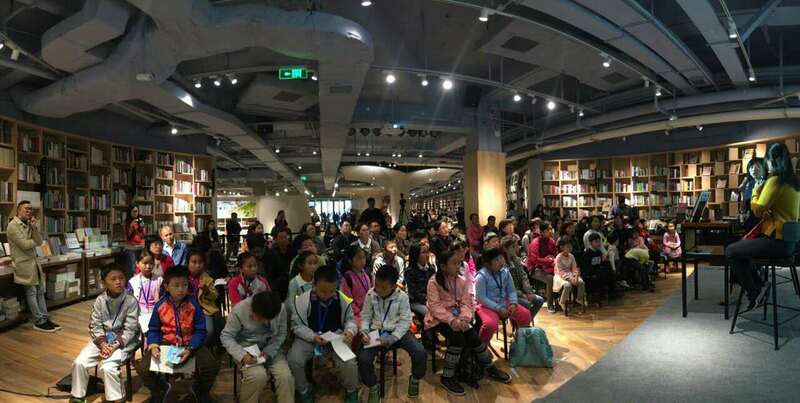 Book sharing event in Tianjin. Taiyuan city is my hometown. People were so excited to see the familiar street and the number 25 bus in the book. 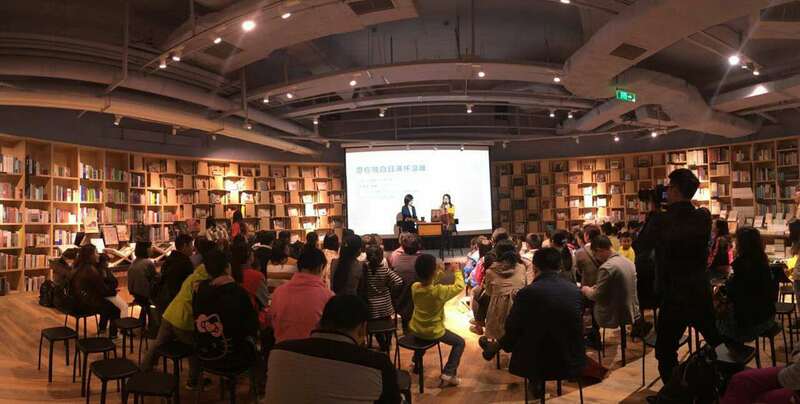 Book sharing event in my hometown -Taiyuan. 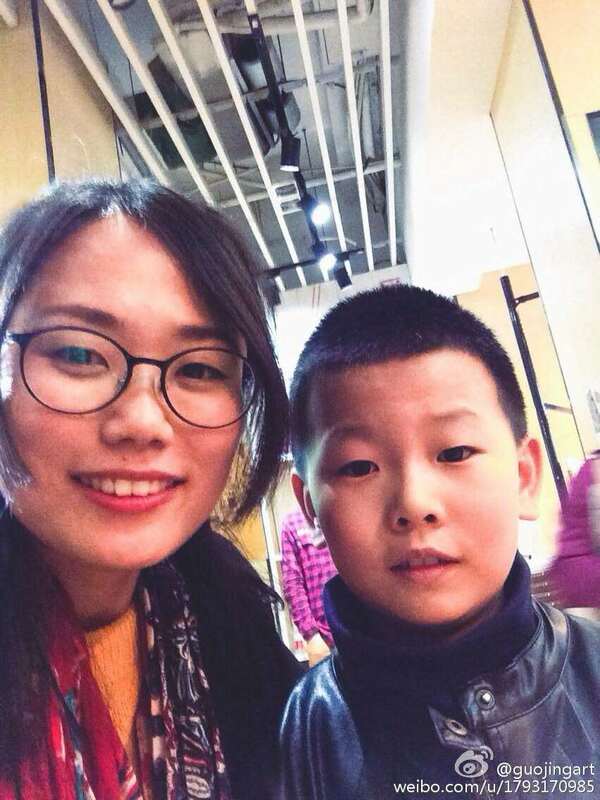 This handsome child followed me throughout the whole event. He wanted to be my bodyguard. When I was in the Beijing International School for a book sharing event many of the students were so excited to ask me “Is it a true story?” “Did it really happen to you?” I told them “Maybe after 20 or 30 years later, you will find out the deer and the story is real and they do exist in this world.” They were surprised and said: “Oh no, 20 years?! 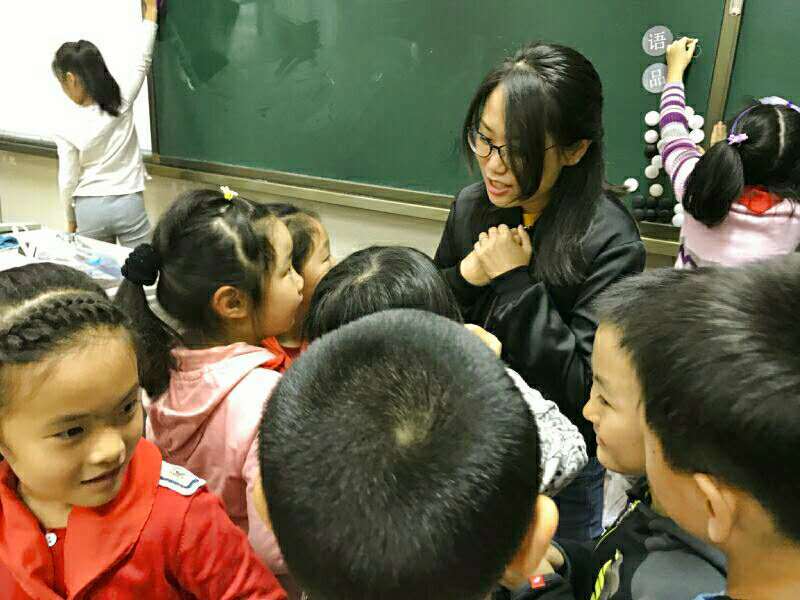 It’s too long a time to wait!” At the end of this book sharing event – one girl suddenly hugged me and said: “I like you so much, Sister Guo.” My heart melted. Yes, the deer in my story does exist. 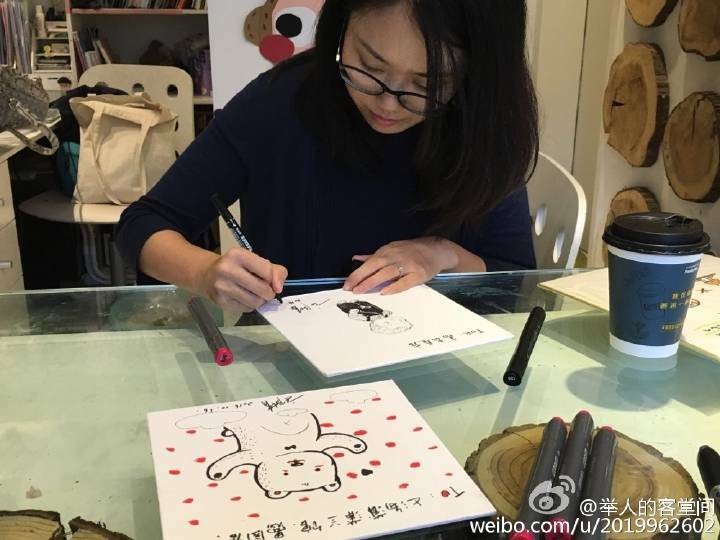 It’s just like my mom’s support when I created this picture book. 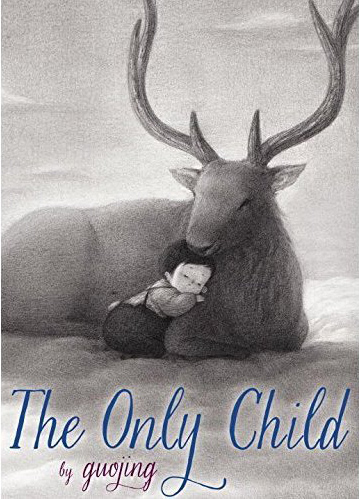 We didn’t know if this book would be published, but she guided me just as the deer guides the little girl back home. What is the most powerful thing about a picture book? I feel a picture book is the most beautiful way to place a positive seed in a child’s heart. The kid may forget the story in the future, but the hope is that the seed will grow into something that influences them their whole life, much like in the movie ‘Life is Beautiful’. I want to know why kids love certain picture books and ask their parents to read the same story again and again. I can’t stop thinking about my childhood, how many times I wished my mom would read a story to me but she was so busy with her job. If I let myself imagine I am a child again, story reading is the best excuse to ask my parents to spend time with me in their busy life.